The new County Fair Treetop and Flower Animals contests arrived today in FarmVille. 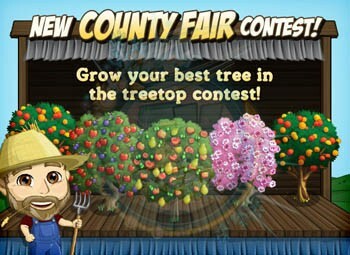 The new County Fair contests feature new competitions that you will be able to participate in to earn free rewards. This feature is on a slow roll out, so if you do not have access yet, hold tight. A FarmVille Freak Guide is coming soon.